Every year – or maybe it’s every few years – the Queen throws a big birthday bash. Or someone throws it for her, anyway. For her shindig this year, some clueless palace lackey has invited a host of A-listers to perform, including Kylie Minogue, Sting (who’s bringing his mate Shaggy along, of course) and . . . Shawn Mendes. Now, excuse me for being sceptical, but I’m gonna go out on a limb and say Her Maj probably isn’t a big Mendes stan. She could be, sure, but it’s unlikely. Anyway, Mr Mendes will perform for the Queen later this year, potentially converting her into yet another besotted mega-fan. Because it’s easy to fall for Shawn Mendes, isn’t it? He’s beautiful in the most basic way, with his puppy-dog eyes, immaculately coiffed hair and tight bod. It’s a look that’s earned him a stronghold of fans and a recurring spot in top 20. Now hoping to recreate that success, Mendes has released his latest track ‘In My Blood’. Perhaps it’s reductive to think of Mendes as another Bieber clone, a guy who sprung up during the heady days of Bieber-fever and suckered on to a similarly impressionable pubescent fanbase. He has the same nice-guy charm as the Bieber of old, the same unthreatening aura that suggests you could introduce him to your mom and he’d be very polite about her cooking, nodding politely as your dad told him for the third time about his kidney stones. Since Bieber broke free of his perfect son-in-law image, Mendes has moved in to fill the gap. Unfortunately, he hasn’t brought the tunes with him. ‘In My Blood’ has a sort of all-American gusto, relying on inoffensive soft rock to deliver Mendes’ brand of approachable pop. The verses are sung in a gentle soulful lilt, Mendes showing his vulnerable side with vague lyrics about insecurity and strife, while the chorus offers room for something heftier, Mendes giving his vocals a bit of gravel as he croons over anthemic drums, assuring the listener he’s not the type to throw in the towel. That’s the spirit, champ. But ‘In My Blood’ fizzles out before it really gets going. 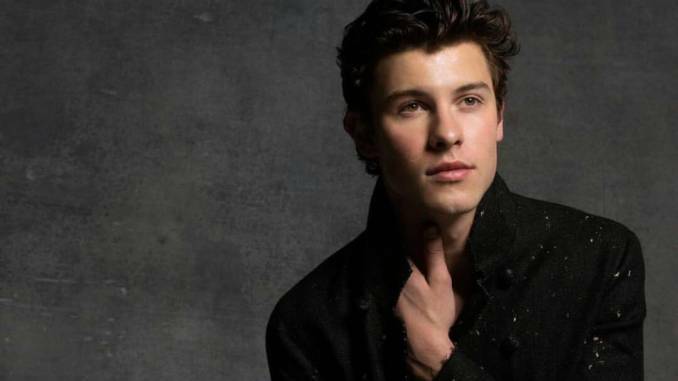 It lacks the addictive melody of ‘Stitches’ and suggests Mendes is caught somewhere in pop star limbo, wanting to escape the shadow of his debut, but not wanting to alienate fans with a drastic change of sound. While there’s no denying Mendes’ enviable pipes, his voice feels wasted on ‘In My Blood’, a track that sounds distinctly underbaked, never hitting its stride. You can’t help but feel it should be longer, building up to a ludicrous high note maybe, or a rocky interlude somewhere in the middle. Because if Mendes wants to make sappy rock songs, he may as well go all out and do it properly.